Grow interest of your audience to your site with exciting video content. 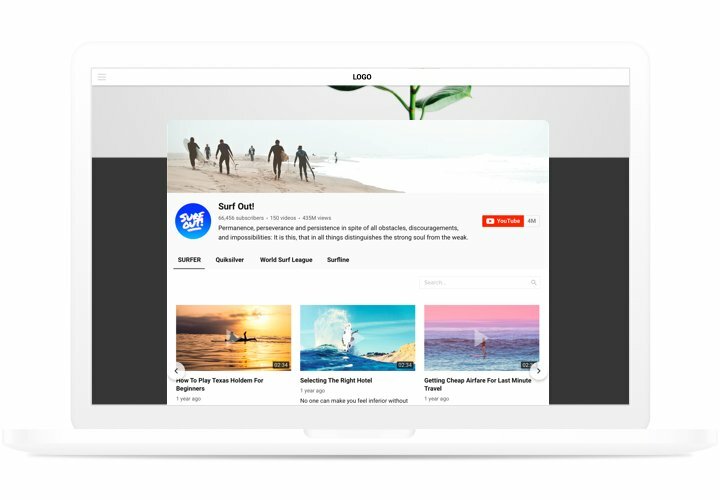 A powerful widget for YouTube, which helps to show diverse videos on the website. 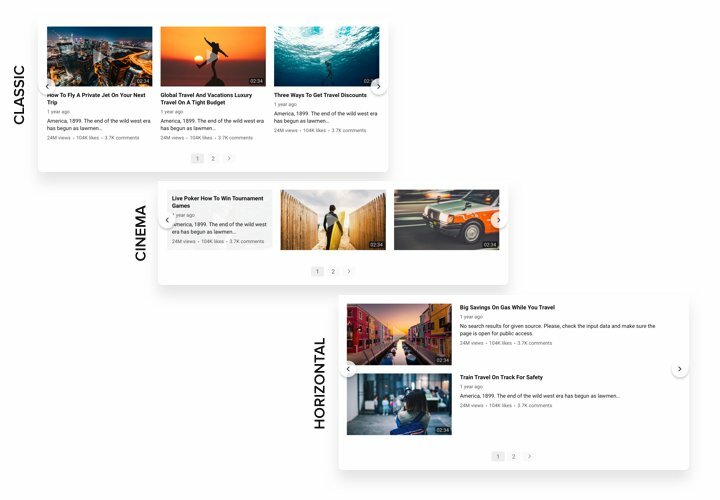 Choose the right channels and video clips to make your own playlist and demonstrate it on the page using the most suitable layout (video gallery, portfolio, channel, single video). Elfsight widget is responsive to all formats and systems; it features 100 interface options, adaptive layout and many other characteristics, which enable you to use it on diverse websites.Design a customized video gallery to constantly increase interest of your users. Strengthen your interaction with website audience with the help of YouTube videos. 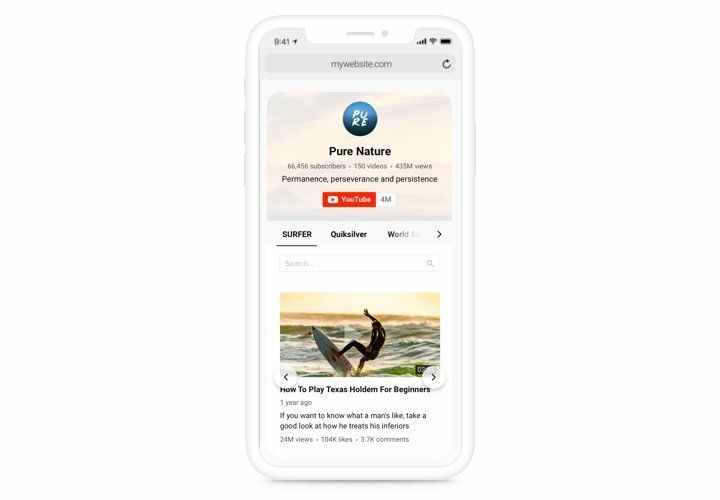 Entice your website users with striking content from YouTube and keep them involved more and more. Raise the number of orders from the site showing convincing promo videos. Show video ads, reviews, tutorials and more to provide users with full information about your goods and convince them to buy. Find more target subscribers for your YouTube page. 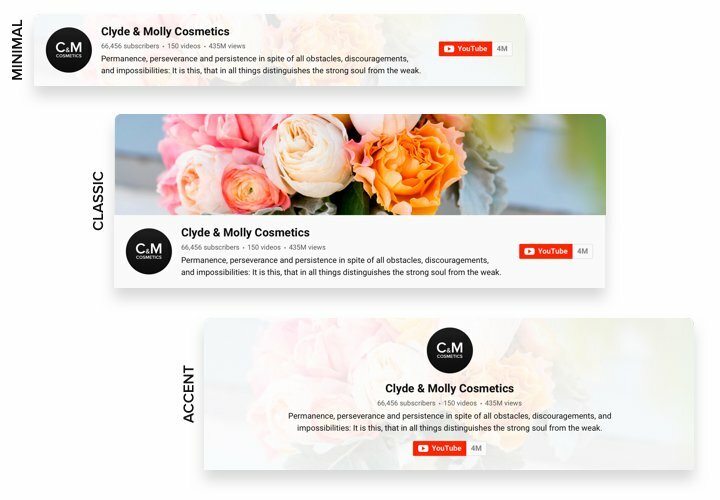 Transform site audience into your subscribers on YouTube. 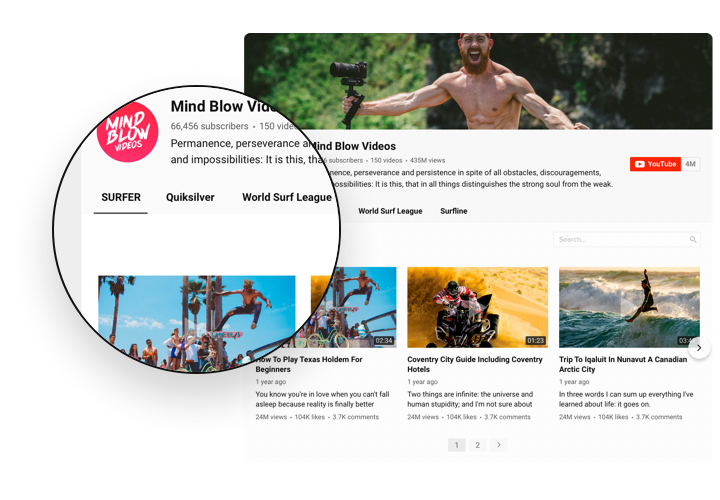 Embed a simple way to watch videos and subscribe right from the website. The most powerful features of this widget, which transform it into the best tool to add YouTube videos on a Squarespace site. A short plan by our team on displaying and generating without skills in development. Average installation duration is less 2 minutes. 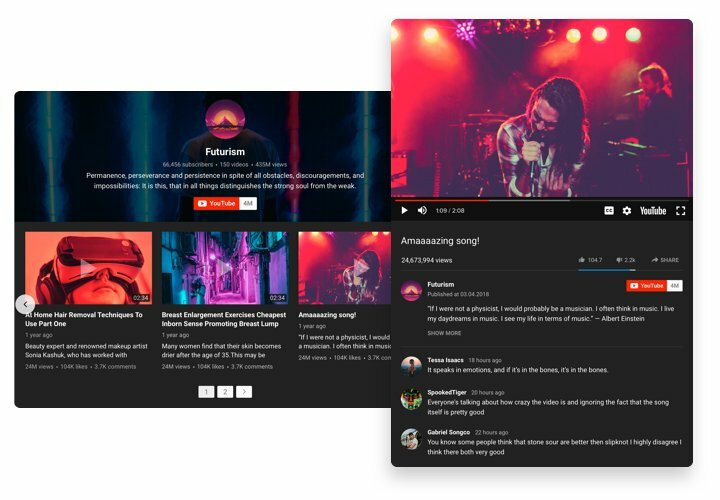 Create your personal YouTube Video Gallery. With our free configurator, generate a widget with needed template and capacities. Get a code for setting up the widget. After widget customization, acquire a code for YouTube Gallery from the appeared window on Elfsight Apps. Reveal the widget on your site. Embed the Video Gallery to on needed place of the website and save the edits. The integration is successful! Visit your SquareSpace website, to see your YouTube widget. Having any troubles with setup or adjustment of your widget? Simply check a detailed tutorial «How to embed YouTube Video on Squarespace» and try it on your own again. Or contact our help center with a detailed description of your situation. We will do our best to answers your questions (from 10 a.m. To 7 p.m. CET, Monday to Friday). Set up your personal Squarespace Video Gallery in only 90 seconds!